Happy Sunday, ya’ll!! I’ve had a wonderful valentines weekend, and I hope you all have too. 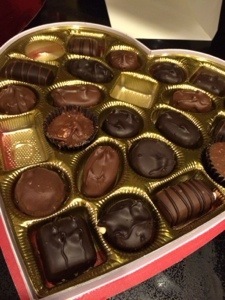 I told him I wanted chocolate this year, so chocolate is what I got! And I was one happy woman. After teaching a Jazzercise class right after work full of love songs and a wine giveaway, Nick and I decided to go to our fave Mexican restaurant for dinner. We didn’t have to wait for a table! 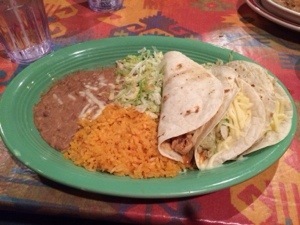 And I got the chicken tacos for my main meal. It was tasty and so filling that I couldn’t even finish more than 1 taco. It a quick meal and a perfect end to our 3rd Valentine’s Day together. Our ‘real’ Valentine’s Day dinner took place last night at Jimm’s Steakhouse. Nick made our reservations a week ago and I’ve been excited for our big meal ever since! I didn’t take any photos. I wanted to keep it phone-free and romantic as possible. 🙂 Nick had a giant steak, and I had a Cajun chicken and pasta dish that was amazing! But even more amazing was our dessert. We tried a cinnamon bread pudding, and it was completely decadent. I could’ve definitely skipped the entree and only had dessert it was so good! Happy Thursday! 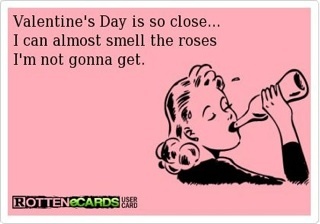 Or Happy Valentine’s Eve! It’s beautiful sunny day here, and I’m lovin’ it. Fifty degrees feels marvelous after the snow and single digit temps last week. So today has been pretty normal. 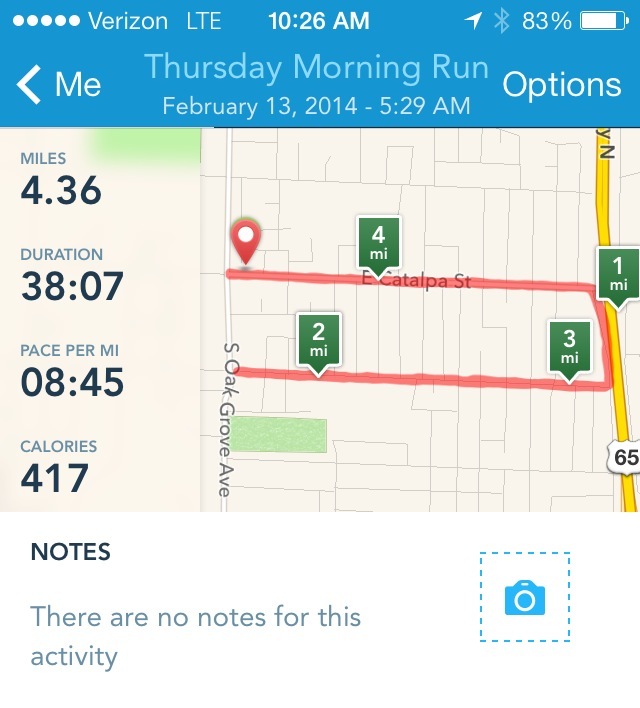 I woke up early and got in my 4-mile run – my weekly Thursday routine. I started out SO slow. I was tired and pretty fatigued from running + Jazzercise yesterday. So for the first mile, I was just barely jogging and throwing a pity party for myself. But then I thought, “This is the perfect time to throw in some speed work.” Running at full throttle with extremely tired quads is the perfect marathon training. It’s a good way to figure out how you may be feeling in the second half/last 10K of the race. So I pushed through 3 sets of 1.5(ish) minute sprints up the worst hills on my route. I’m not crazy – I was just determined. I also wanted to hurry up and get home. 🙂 So the faster I ran, the raster I would be done! But after eating this, I knew today it wasn’t going to last me long. 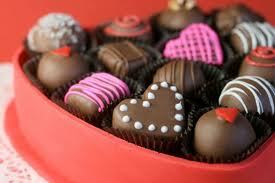 I’ve been craving chocolate and sweets like there is no tomorrow. Around 10 a.m., it got bad. 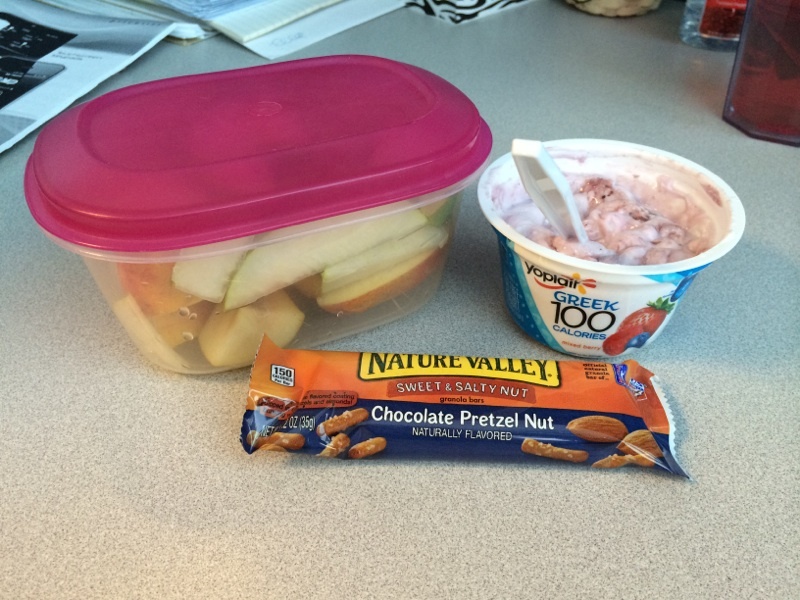 By the time lunch rolled around, I was almost sick. Have you ever gotten this way? I rarely crave foods this intensely, but I was ready to do anything to get my hands on some chocolate. Nick brought some Thin Mints home yesterday, so luckily I snagged a couple of those for my lunch dessert, but they didn’t quite do the trick. Yes, I’m hormonal this week, and that never helps. And also, I’ve been working out a little more than normal by teaching extra classes this week. Maybe my body just wants some extra calories and sugar? Either way, I will definitely be getting a small sugar fix soon…like tomorrow maybe??! 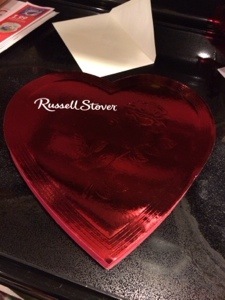 I’m just taking my craving as a sign that my body is ready and excited for Valentine’s Day goodies! 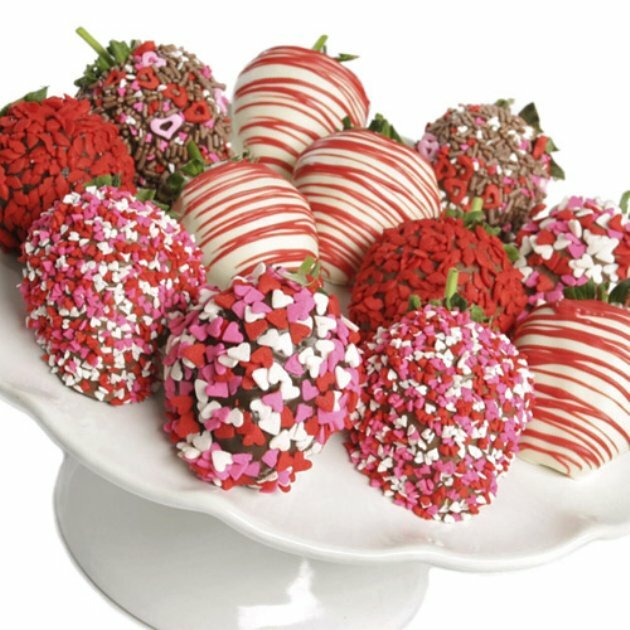 In all seriousness, I will probably just end up buying myself some V-day chocolate tonight, eat a few pieces, and then share the rest with my Jazzercise ladies tomorrow night. I’m also considering bringing some red wine to use as a door-prize for anyone that comes to class tomorrow. I’m hoping at least a small handful of students decide to come dance regardless of the holiday! Well I’m off to put together a new song set for tonight and find some sugar before my mind explodes. 🙂 Have a great night and I’ll see ya tomorrow for Valentine’s Day! Happy Monday! I hope you all had great weekends and were ready for the awesome Monday morning commute today in the mini-blizzard that mother nature decided to drop on us…sighhhhh. Luckily, the snow didn’t mess up my day in anyway, so I’m not that angry about it. I still made it to Jazzercise this morning at 5:30 (after some slipping and sliding). And I had one brave student come workout with me! 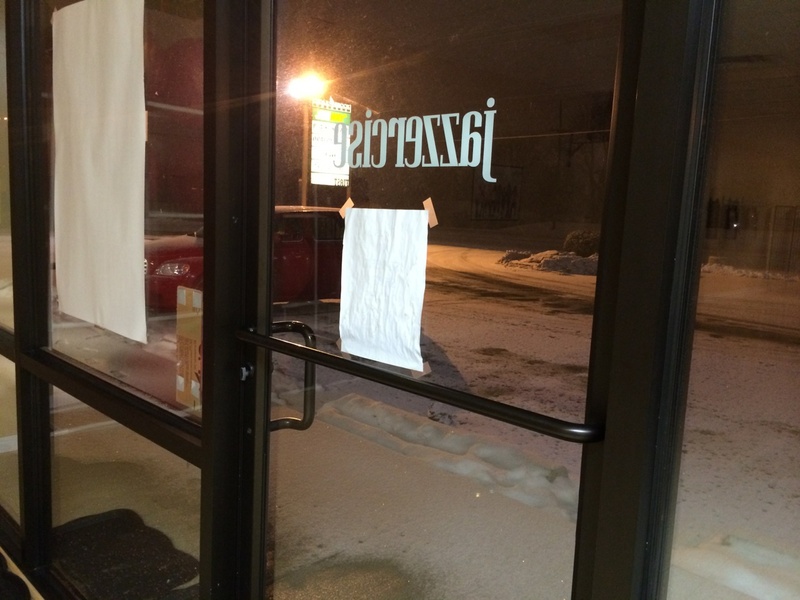 I stood inside the door of the center watching it pour snow outside. I was pretty sure no one was going to come, so when that one brave soul pulled into the parking lot, I was ecstatic. We had a quick and fun class followed by me frantically driving home to get ready for work and on the road before the mad rush happened during the bad weather. I beat most of the traffic and made it to work in one piece despite the 1.5 inches of snow on the road. Luckily, the sun also decided to come out mid-morning so the roads were clear and dry for my trip home for lunch. So it’s been a good snow day. Weird, right? I haven’t really had a good snow day all winter. Hopefully this is a sign that winter is on it’s way out soon! Since I was rushing around to beat morning rush hour, I didn’t have time for my normal coffee at home while I was getting ready. So once I got to work I downed my mug of coffee (holds about 3.5 cups) and was needing more to fight off a small headache. 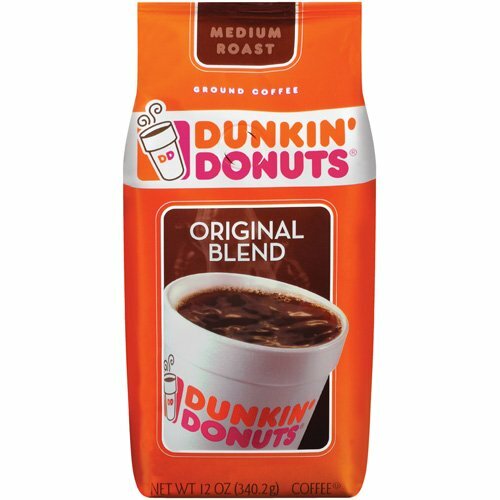 I borrowed some Dunkin Donuts original blend and used the fancy Keurig machine in our breakroom. That was some of the strongest and most delicious coffee I’ve had in a long time! So I had about 7 whole cups of coffee before 11 a.m. I was basically vibrating from all the caffeine. I couldn’t sit still, and I was so happy and optimistic that my coworkers were ready to kill me. It was a good morning to say the least, but now I’m coming down hard. Nap time, anyone?! 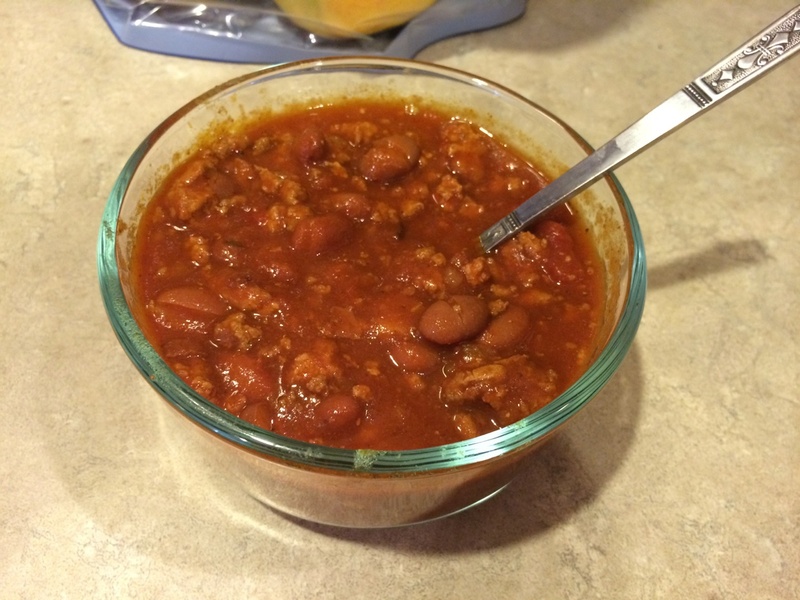 Lunch was quick and easy today since I made my awesome chili in the Crockpot yesterday. Leftover chili on a snow day was the perfect comfort food. But now my leftovers are almost gone. I need to make a bigger batch next time! 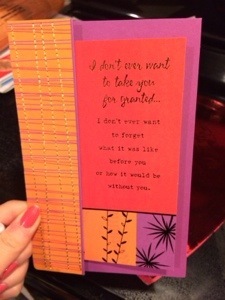 And now I’m pondering Valentine’s Day since it’s this Friday. 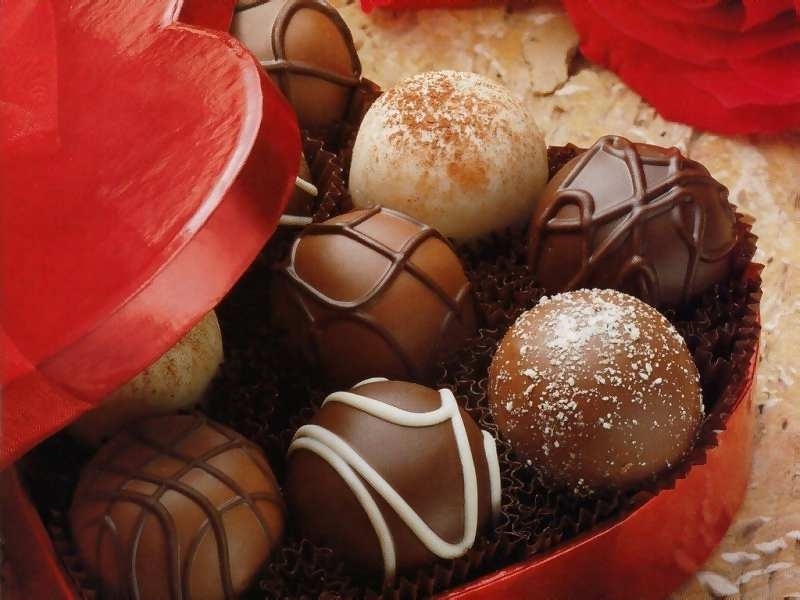 I’m already craving chocolate like the cocoa bean is going extinct. It’s bad. 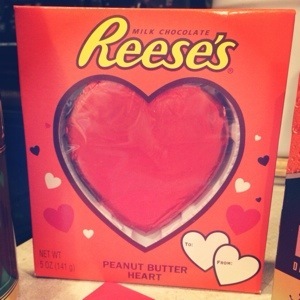 Nick and I almost through an entire bag of mini Reese’s Peanut Butter hearts yesterday. That along with the donuts was just about more sugar than I should need in a whole week. So maybe I’ll luck out and just get flowers. Flowers are pretty and smell good and they don’t cause tons of guilt from eating too many of them. 🙂 I want chocolate, but I really need flowers instead. HA! And now for a cute picture. Ahhhhhh!! Puggy!! I love this for so many reasons. 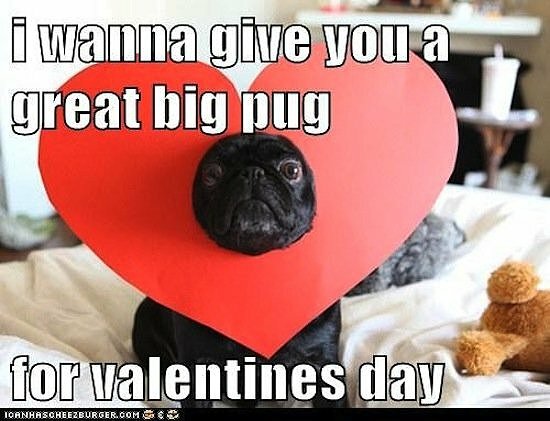 If Nick got me a pug for Valentine’s Day, I would forget all about the chocolate. Maybe…. Looking ahead through the week, I’m teaching a lot of Jazzercise and have a normal running schedule. I’m not in true taper mode yet for the Little Rock race, so I’ll still have my normal runs on Wednesday and Thursday mornings. Can you believe I’m 20 days out from my first marathon??? I can’t even wrap my head around that one right now. I’m subbing Jazzercise tonight, so it’s going to be a busy evening. I hope you guys have a great one!